1) The Mazda6 Earned KBB.com 5-YEAR LOWEST COST TO OWN AWARD, because it’s a great value at purchase, outstanding fuel economy, reasonable cost to maintain and insure, while holding it’s value better than any other vehicles in the midsize segment. 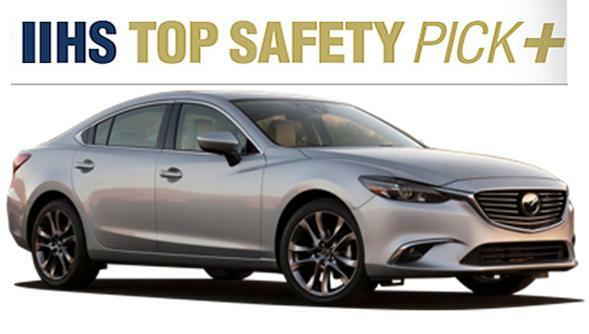 2) The Mazda6 was awarded the Insurance Institute for Highway Safety (IIHS)’s highest-possible rating, “SUPERIOR”, in recent crash tests. 3) CAR and DRIVER awarded the Mazda6 and Mazda3 to their 10BEST CARS LIST again this year. Mazda was the only company to win two 10Best awards – no other Brand did this. 4) AUTOMOBILE MAGAZINES: BEST MIDSIZE SEDAN! 5) AUTOBYTEL: CAR OF THE YEAR, 2nd Straight Year. 8) JD Power APEAL awards, the Mazda6 Earn BEST-IN SEGMANT ACCOLADES for the 2nd straight year – Existing owners rank it higher than any other mid-size after 90 days of ownership. 9) Consumer Reports says that Mazda is the BEST NON-LUXURY BRAND and the second-best brand in the auto industry, on expected reliability, resale value, styling, dynamics and initial quality. 10) We offer our new Mazda6 customers our exclusive CUSTOMER FOR LIFE CARE CLUB! Lexus brand, the luxury name plate for Toyota, finished on top of the leading Consumer magazine’s annual “brand report card”, the influential U.S. magazine said. Japanese brands took four of the top five places. 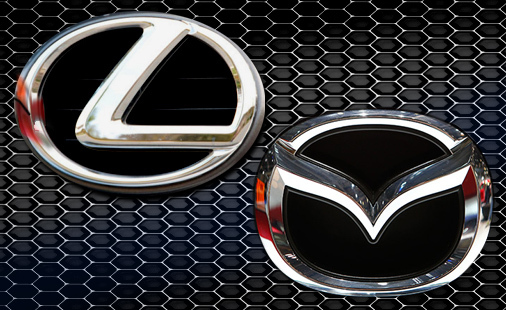 MAZDA MOTOR CORP was second and the best finisher among non-luxury brands. Toyota came in third, followed by Audi from Germany and Subaru from Japan. For the first time, a U.S. brand made the top 10. Buick came in seventh, just behind Porsche. Eighth through 10th were namesake brands from Honda Motor Co, Kia Motors Corp and BMW. Falling the most in the brand ratings was Mercedes-Benz, to 21st from 10th last year. The consumer based magazine said several models, including the CLA, were unreliable. This report reflects 1.1 million subscribers vehicles in the annual auto survey. The results come from those ratings, along with U.S. government and insurance industry safety tests and road tests. 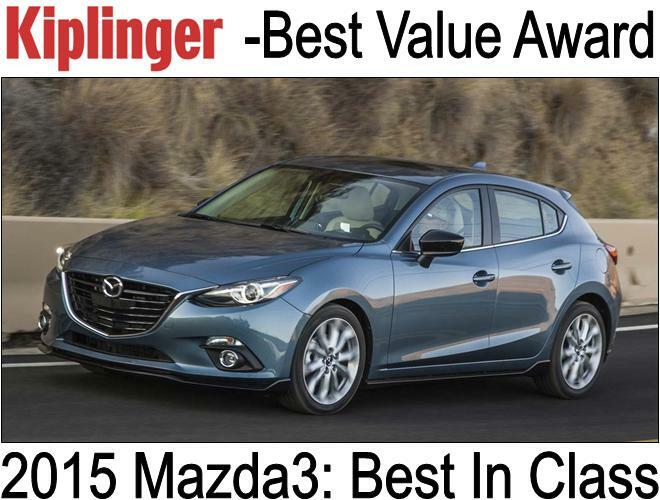 This report comes on the feet of the “WOULD YOU BUY YOUR CAR AGAIN” article in January 5th’s consumer magazine, which surveyed 350,000 vehicle owners and rated the Mazda6 and Mazda3 “BEST” in their respective classes. This is a reflection on resale value as well as Customer Satisfaction.